With No Time for Brexit, Macron Sets Out to Redraw EU Political Map - Integration Through Media ....! 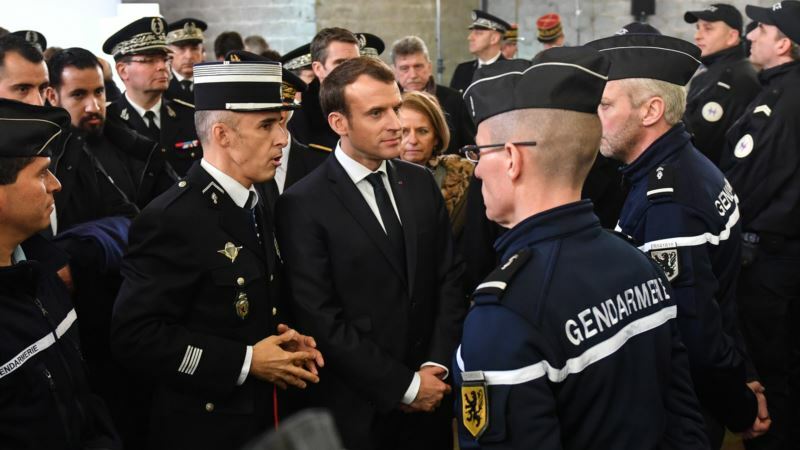 (VOA): French President Emmanuel Macron said he would not waste too much of his time on Brexit and would instead seek to redraw the map of “ossified” EU politics by launching an initiative of European progressives for EU elections next year. The 40-year old president, who blew apart France's traditional two-party system last year by propelling his newly-formed centrist movement to power, called for the same alliance of “reformists” to join forces at the European parliament in Strasbourg. Macron’s comments come after EU lawmakers rejected a proposal he backed for pan-EU lists of candidates for seats in the European Parliament. “It shows there’s an ossification and a willingness to defend party interests rather than democratic ones,” he told the Elysee Press Corps in a two-hour question-and-answer session that touched on topics ranging from Brexit to his wife Brigitte. Macron said the current groupings in Strasbourg — including the conservative PPE and the Social-Democrats of the PES — no longer shared common values and were split between eurosceptics, populists, and progressives. “There are inside these political parties incoherences that block us,” Macron said. “I think Europe would be better off democratically with a redrawing of the political map,” he said, adding that he would come up with a new initiative to regroup “progressives” and “reformists” together in EU elections next year. Asked how he would seek to influence politics inside an institution where his Republic On the Move party currently has no lawmaker, he said the picture might look very different after the next elections. “It’s totally possible to set up your own group and I believe that European reformists have a vocation to federate around them other movements,” he said. On Britain’s plan to exit the EU, Macron said it was important for the remaining 27 countries to remain united and let the Commission’s chief negotiator Michel Barnier deal with the British government. At a time when European capitals are preparing to promote their own nationals for strategic posts coming open next year at the top of EU institutions, Macron said he would not make a priority of finding jobs for French candidates. He said he did not care about the nationality of the next head of the European Central Bank, as long as he or she was as competent as its current chief, Mario Draghi.